“Butter” is the fuzzed out new track from Foxy Lemon, and the overall sound harkens back to a different time for music. Would it have seemed out of place to hear a song like this at Altamont or Woodstock? It doesn’t seem so. Their stellar organ melodies and fuzzed out guitar riffs fit right alongside the Portland garage rock scene, but stand out from the crowd by capturing the iconic feel of classic American rock music. If ever there is a remake of Dazed and Confused, “Butter” would undoubtedly make it onto the soundtrack. 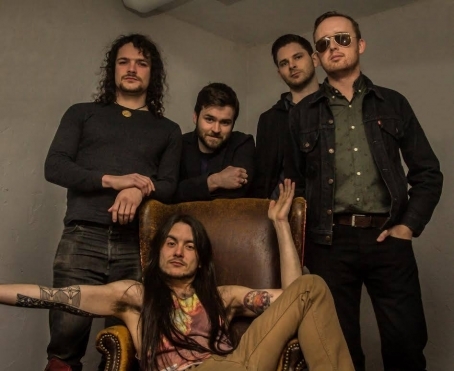 This single is the first teaser from their forthcoming extended single, Jelly, which will undoubtedly maintain the same heavy, catchy crispness as this first release. You can catch Foxy Lemon at The Know on December 19th with Maszer and Spirit Lake.